And of course Pilates is relaxing and very enjoyable too! "I discovered the connection between Pilates and running a few years ago and haven’t looked back since, it’s a great combo! 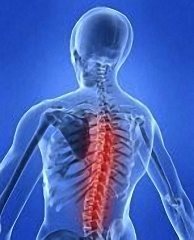 I used to suffer with various niggling injuries, such as hip and back pain and found that this was mainly due to my bad posture. When I trained for the London Marathon in 2010, I made Pilates an integral part of my training plan and I am convinced that without the benefit of all the stretching and strengthening exercises, I would not have made it round without some sort of injury!" Running is a repetitive activity so by its very nature this means that any weaknesses or imbalances in your body could potentially surface because certain muscles are overused whilst others are underused. This of course can result in a variety of ailments from lower back pain to hip and knee problems. For example, say you have a problem with your Iliotibial band (ITB). Something many runners suffer from. You are doing all the stretches that your physio prescribed, you’ve promised not to run (the hardest part!) but still it hurts and you are champing at the bit to get back out there. Pilates can help by changing the way you use your body. If you suffer from an ITB problem say (and this could apply to anything else, like knee problems, hips problems etc) your body is probably telling you that you are overusing some of your muscles or maybe using them inefficiently. Over time Pilates exercises can help by activating the lazy muscles that haven’t been doing their bit, lengthening the tight muscles (think hamstrings!) and creating better, more aligned movement patterns so that the ITB doesn’t have to take so much stress. It becomes a very dynamic process that integrates the rest of the body with the ITB. "I took up running many years ago but only really got serious about it - 10k/Half Marathons - several years ago. As I became older there were a few injuries and I discovered the wonders of having orthotics in my shoes but by far the biggest influence of all was the discovery of Pilates and how it compliments and supports running. In fact, for me, Pilates is body orthotics. With the correct posture and inner body strength I can now run longer, more efficiently and somehow more relaxed AND injury free!!! Cannot recommend it highly enough - a real bonus."